Macro economic and sectoral impact that the conflict in Syria has had on Lebanon. Security, refugees, and political ramifications have affected all economic sectors and have led to several aid packages to the country and host communities. The book inspects the effects of the Syrian crisis in detail, backed by tables, statistics, and empirical analysis. Starting a small business and managing it requires multiple skills. In addition to the core expertise of the business, owners and working partners are expected to become instant experts in legal, financial, marketing, sales, human resources, and a plethora of activities necessary to not only ensure survival, but to thrive. The Entrepreneur Handbook is a start-up kit of basic information necessary for those embarking on a journey in business. It is also a refresher resource for managers occupied by their day-to-day toils. This handbook presents basic tips on each of the issues faced by a nascent or growing company and how to start finding information and resources. The Entrepreneur Handbook has been designed and written by the team at Lebanon Opportunities, based on the specific context of Lebanon. Even for universally adopted practices, localizing the information is necessary for it to become practical and actionable. Laws, practices, addresses, and other data are at the essentials of this book. The Entrepreneur Handbook has all the basics. But there will be a lot of changes in laws, incentive programs, and available resources. Stay tuned by regularly visiting InfoPro's various websites such as BusinessNews.com.lb, databank.com.lb, and jobs.com.lb to stay on top of your game. The Business Handbook (Third Edition) gathers together 622 pages of data and procedures in one of the most wide-ranging aids to the business person in Lebanon. This publication ranges from the costs of doing business to legal issues and hard-to-get economic data, all surrounded by a treasure of statistics sourced from dozens of public and private sector references. The oil and gas sector in Lebanon has promising prospects for discovery in national waters and soil. The sector is witnessing a revival that will benefit a large number of sectors including direct stakeholders, but also service providers in finance, insurance, legal, consultancy, training, hospitality, transport, communication, the media, and more. It is a reference for upstream and downstream activities, to those interested in following developments in this sector. The downstream sector has a long history. It comprises the commercial side, such as fuel import, retail activity in gas stations, and distribution of heating gas to households. The upstream sector, still in an embryonic stage, covers exploration, extraction, and refining. This Handbook is a digest of a full-fledged market study undertaken by Infopro, also available to professionals in the field. 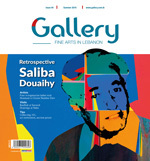 It is based on the latest available data from all sources and covers most issues affecting the sector. As a result of developments in this sector, the economy will undertake a drastic change. This is why this handbook is a must for every businessperson. 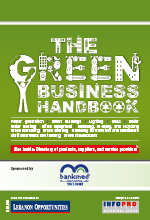 A Lebanon-centric manager's definitive resource for going green in a profitable manner, the Green Business Handbook explains how every business can make simple changes that save costs and natural resources. It targets local company managers and decision-makers, providing them with practical options to go green on various levels, enhance their corporate image and develop a new organizational culture. It includes lists, tables, pictures, and descriptions of some of the main active green NGOs. The book includes a rich directory of more than 200 local suppliers, consultants, developers, manufacturers, partners and achievers active in the field of green business. A consumer's guide to the world of banking, this book makes it easy to understand the nature of the various loans and savings programs offered by banks and the differences between them. Whether you're looking for a home loan, credit card, car loan, a bancassurance program, or other retail banking product, Easy Banking will help you decipher the jargon, compare rates, understand the process, and discover what is really required in dealing with banks.